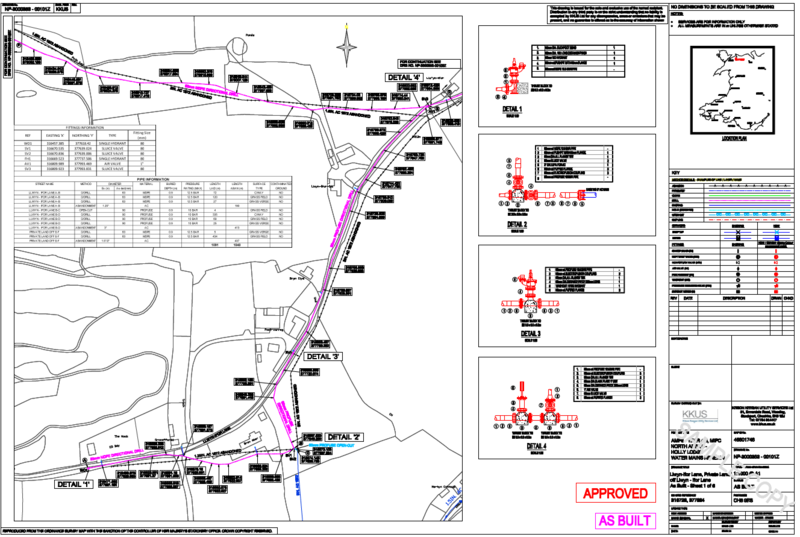 KKUS was tasked with supplying all as-laid surveys and drawings for small diameter rehabilitated water mains across Yorkshire Water's network. This also included some cross country strategic mains in remote areas. 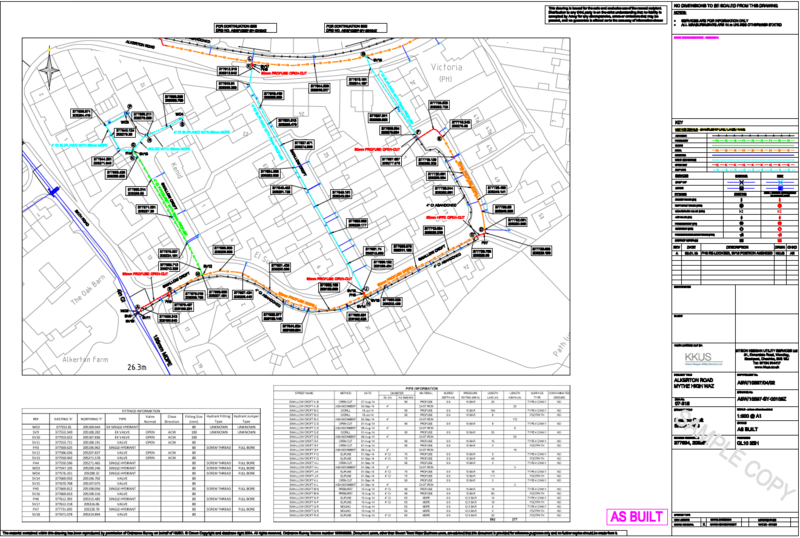 KKUS introduced GPS As-Laid surveys to give the client faster turnaround times with greater accuracies, against previous road wheel measures and hand drawn surveys. This resulted in achieving and exceeding expected turnaround times, and giving Asset Data Team greater confidence in the detail and location of all assets recorded. View a PDF example of this work. you can click here to open the PDF file in a new window. As part of Yorkshire Water's Lead supply replacement programme, KKUS assisted in Pre-Construction surveys, to identify supply pipes requiring renewal. 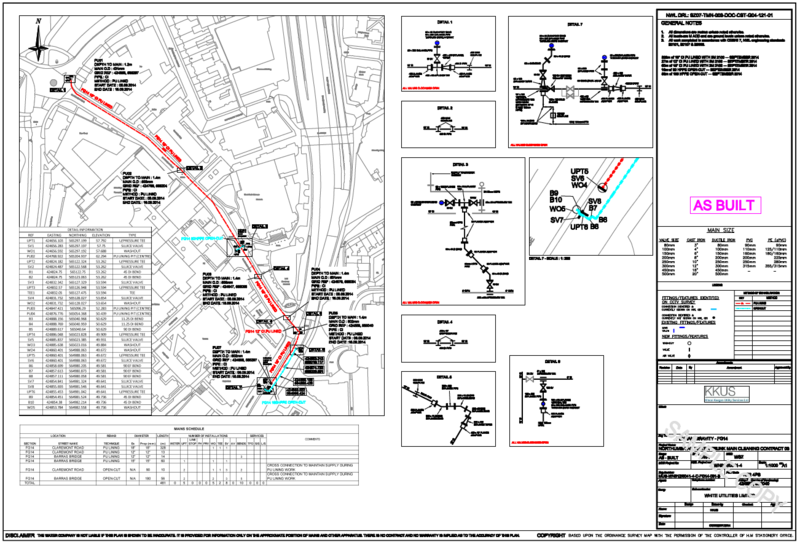 This work involved tracing services, locating buried stop taps, clearing chambers to identify the pipe material and recording all risk assessment information using tablets, which transferred data directly back to the office. 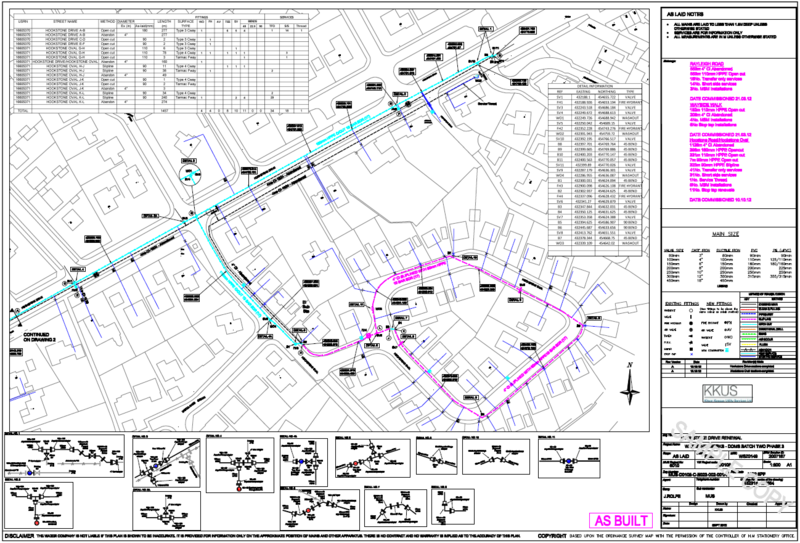 A database of information was built up for each property to access the ground conditions, traffic management requirements and potential third party hazards to the construction teams. All information was accompanied with photographs for each individual service pipe length. Please contact us for further examples of our work.